Deliver your flash drive in style with this fabric USB box. 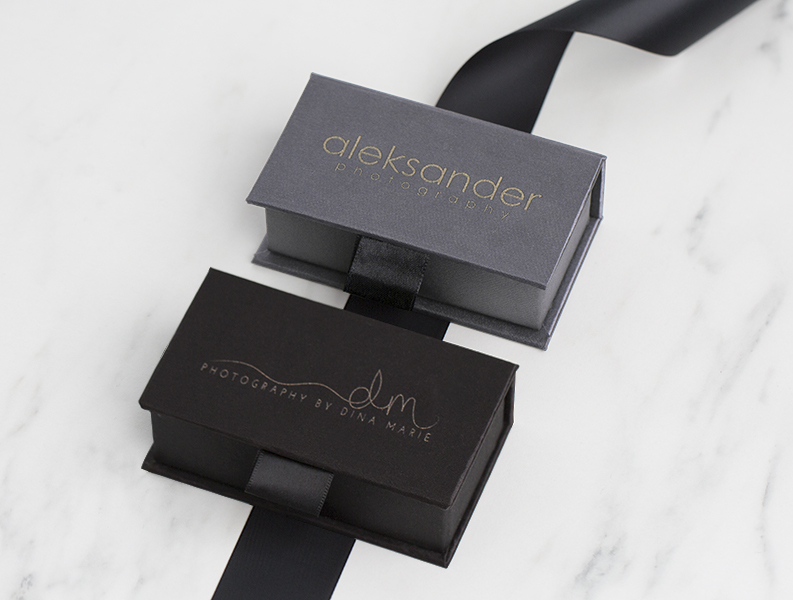 Taffeta like fabric covers a hinged box with a black looped ribbon tab for easy opening. 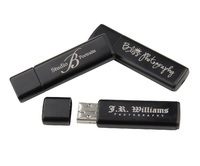 We offer free engraving of your studio logo on the top of the box. Customizing your product: For highest quality results please upload AI, PSD, or or high resolution (300 DPI) PNG files. JPG files are not recommended. Customers who purchased a Tyndell Fabric USB Box also purchased these items. Rate our Fabric USB Box.